Yunnan is renowned for producing some of the world's best Black tea and the exotic Yunnan Gold is certainly one of the most famous. 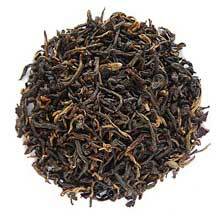 This is our top selling Black teas and one we will gladly introduce to any Black tea lovers. Full-bodied and rich with a hint of natural sweet malty flavor. Beautiful small tightly rolled khaki-colored tea leaves.